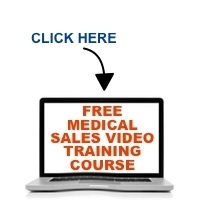 Successful medical sales professionals are focused on their business. They commit to doing the right stuff, day after day. But if you don’t take care of yourself and the people in your life, you could pay a huge price. In this edition of the Medical Sales Guru Podcast, Mace talks about the importance of work-life balance and his own experience with ignoring it early in his career. Enjoy the podcast, and happy holidays!